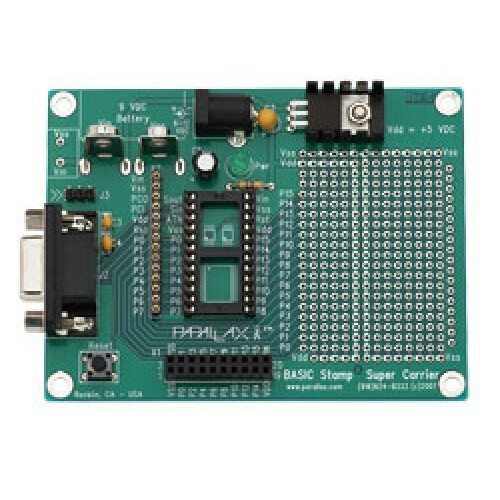 Low-cost through-hole development board for a BASIC Stamp 1 (BS1-IC), 24-pin BASIC Stamp 2 series, and Javelin Stamp modules. This board is often used for experiments and permanent BASIC Stamp projects soldered to the through-hole area. Solder-hole area (1.5" x 2.0") arranged to easily support servos, 300 and 600 mil DIP ICs, DB9, DB25, RJ-11 connectors.